Change your life by decluttering - the benefits are amazing! Change your life, by decluttering – really? If you were asked to list 10 life changing events, I’m pretty sure that decluttering won’t have featured on it. …will come to mind way before sorting out the clutter you may have. Decluttering – done right – really and truly can change your life. When tackled properly, it can be so much more than a quick sort through your home of what can be recycled, given to charity or thrown away. In fact, it can produce a fundamental shift in the way we think about our homes and our lives – and it can be incredibly empowering. Most of us want to get rid of the amount of “stuff” we have in our homes, and are searching for a way to do this quickly and easily. Unfortunately, decluttering in a way that makes real, fundamental changes to your life, in a way that sticks – is not a quick fix at all. But it doesn’t have to be hard either! When you decide to diet, you want to lose weight quickly and easily. Your weight is your clutter. You may reduce the food you eat and therefore eat less calories each day. You go through weeks of restrictions and yes, you find that you lose some weight – but chances are it will pile back on as soon as you start to live your life as normal again. Unless you make changes that work with how you live, those changes won’t last and won’t fulfil you. Decluttering tends to be the same. You want to lose the excess “stuff”, so you spend a few days/weeks going through your home finding anything and everything to get rid of. However, after all that you still find you haven’t fundamentally changed anything. You’re either left with less than you want, or you end up creating new piles of stuff over the months that follow and the pattern starts again. The ‘weight’ from both situations goes for a while – but usually comes back. The reason? – you’ve made changes that make a visible difference, but you haven’t gone deeper. You haven’t looked at the fundamentals that will ensure those changes last. SO – WHAT’S THE ANSWER? …and how can we declutter in a way that lasts and really has an effect on our life over the longer term? As with most effective answers – it’s simple really. To change your life in a way that lasts, you need to work out what you want you’re really trying to achieve and work from there. You want to go deeper than the superficial and get to grips with making your home (and life) the way you want it to be. Instead of starting with a bin bag ready to fill, start with a pen and paper instead. Plan what you want, and make it happen. STEP 3 – Work out what you need in each room to do the functions that you want to do in it. STEP 4 – Remove anything from the room that doesn’t fit that function – and add in anything that does. Follow these 5 steps methodically, always keeping in mind what the rooms are to be used for, and you will naturally end up with items that don’t belong anywhere anymore. THIS IS YOUR CLUTTER. PLAIN AND SIMPLE. The rest? – well – that’s all the stuff that helps you live your life – and that should all stay. Your schedule and life can be decluttered in much the same way. Start with what you really want to do with your life, and what your goals are, and you will much more easily be able to declutter that which doesn’t help you get there. You won’t just have got rid of stuff – you will have moved it to the right place as well. Everything will be grouped together so you can easily see what you have. All achieved by decluttering the right way. Doing it this way will mean that decluttering should become a habit for the rest of your life, because it’s addictive to shape your life and home exactly as you want them to be, and you’ll want to keep going! And that, my friends, is how decluttering really and truly can transform your life. No more quick fixes – just real shifts in your thinking will make the difference you are looking for. Make your plan and declutter around it – you won’t regret it. You ready to change your life? I hope so! Do you want to start decluttering right now, but aren’t sure where to start? Get on top of your clutter once and for all with my 30 day Clutter Blitz. An email challenge with a quick task each day to get your home under control a little at a time. Learn more HERE. Previous Post: « 15 GUEST BEDROOM ESSENTIALS THAT WILL MAKE THEM WANT TO STAY! We have so much stuff from our parents and grandparents, who have passed on and we have sentimental values placed on these items it’s hard to let go of them. You forgot death of close loved ones in your list of life events. That actually is one big reason that some homes get cluttered to begin with. Their personal belongings add to it. I personally shopped as part of grieving which added to it. When you lose multiple loved ones, it grows and grows. We’ve lost all our parents, one sibling and all grandparents as well as many other relatives within recent years. The latest being my dad in Feb. I started to declutter and now we’re planning to move later this year, so I’m taking advantage of that to dump as much as I can in order for us to have a fresh start. Not everyone has that option which will make it harder for them. We also own our current home and will have the luxury of taking what we want and leaving the rest here for selling at an indoor sale. That basically means I just have to pack what we’re taking, though I have been purging as well. This is a great post though and will help us still along our journey. Thanks! Fantastic! Good luck. If you need help, then please check out the 30 day free decluttering challenge on this site as it’s a great place to start! This seems like a great method! I have tried various and they have all worked to an extent. I read – and loved – Marie Kondo’s book and have been working towards that. Deciding what to keep made sorting the attic so easy. However, there have been items that I still have to get round to. I intend to finish the method but I recognize that there are some practical things that I have held on to but cannot think where to store them. I like the idea of deciding the function of the room/space and I am going to use that method the next time I go through my things. Since I have already gotten rid of so many items, I can see that doing it the way you suggest will add to the harmony and flow of the house. I do love the fact that I have fewer things though. My husband asked me where the ‘bungee rope’ was and I could instantly place my hands on it which actually gave me a sense of pride. 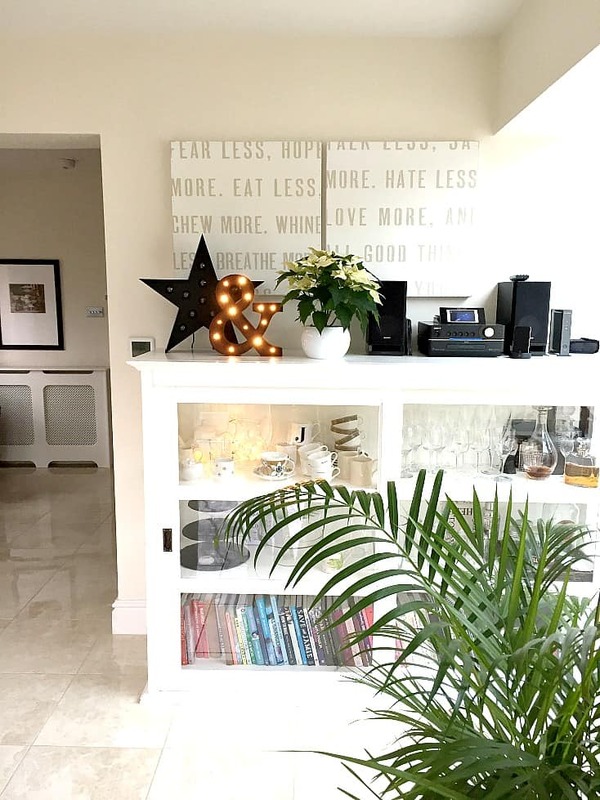 No problem at all Nicola – glad you like the system – it really really works and helps so much to plan things out first – and your home will just get better and better! This is so true Chrissy! It’s one of those things that unless you have experienced it, it is kind of hard to explain. My wife and I have always been sort of minimalist. Not all the way, but we do a “purge” of the house like every 3 or 4 months. It’s a feeling that you get when the house is cluttered. There is a tension in the home. And I know this because once we declutter it’s like taking a breath of fresh air. Everything from our relationships to our health has improved by keeping the house free of excess “stuff”. How do you declutter? Do you have one big throw away session a year or do you do mini “purges” like us? Hi Derrick, Glad to hear that decluttering has such a positive effect for you and your wife!. I tend to do similar to you and declutter a few times a year – this way you can keep on top of it and stop it getting overwhelming.